I read this article and wanted to share it with you: The cost of monetizing child-rearing https://blog.sonlight.com/the-cost-of-monetizing-child-rearing.html. The U.S. Department of Agriculture (USDA) now estimates that new parents will spend $225,920 to raise a child. The USDA even provides a calculator so you can estimate your expected cost over 18 years. I tried the calculator myself. Phew! That's a lot of money for food, clothes, childcare, education, activities, larger vehicles and larger houses. The recent media attention to this expense has me pondering a few questions. Do parents need to be spending this much on their children? Probably not. But do parents feel pressure to spend this much on their kids? Apparently so. How much do children really cost? 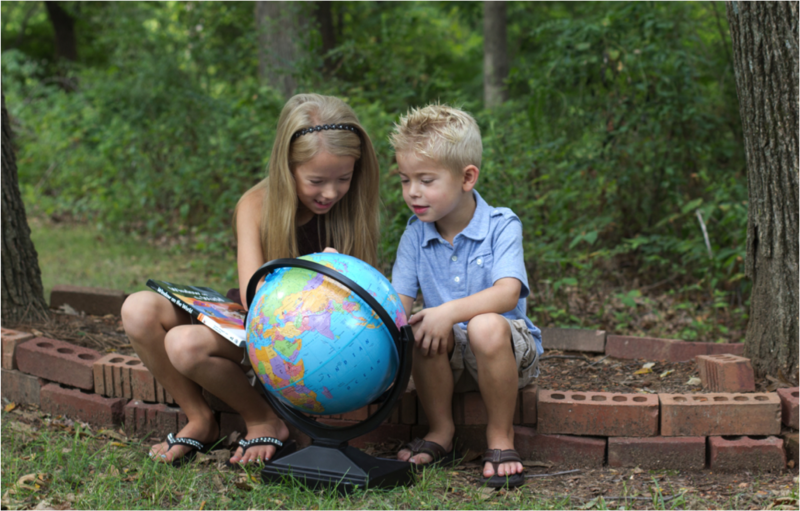 Homeschoolers may be the first to point out that it doesn't have to be so much. It really is OK for kids to wear hand-me-downs, for siblings to share a bedroom, for one parent to stay home (and avoid childcare costs all together), to homeschool instead of paying for expensive private school. And then there's the fact that each successive child doesn't cost the same as the first—that's where hand-me-downs, sharing bedrooms and buying food in bulk come into play. I've seen homeschoolers point out that children really do seem to be "cheaper by the dozen." But the bigger issue for me is the question of monetizing children. What does a society lose when it thinks of children in terms of a price tag? Do we risk thinking of children as commodities from which we expect a certain return? Do we begin to forget that children are a blessing from God? Do we scare prospective parents away from the joyful and noble (and difficult and stretching) call of having a family? I wonder what the balance is here. Yes, we should be wise financially. But we should foremost depend upon God. And yes, there are significant costs (beyond the financial) to consider as well. But children are blessings that transcend costs. What can we do together to share the beauty that children are indeed blessings? I like your question about the appropriateness of monetizing children. I think it is good to know some of the costs invovled, but it definitely becomes problematic when we begin assigning a mentary value to children, and we use these figures as a guage or not as to whether we want another children, or even any at all. Children are a gift from God and I believe he will provide ways for us to raise them, spiritually and financially. Good post. I think one thing we've really lost is the fact that children used to be a monetary *benefit* to the family, instead of a burden. Kids used to help out on farms, in stores, factories, etc. A girl could be a huge help to her mother in the house. A boy, to his father, whatever his work was. Nowadays things are very different, as with the more intellectual work that most parents do now, kids can't really help the same way. But I do think that we can make our children, especially as they get older, responsible by giving them other duties. It both helps them see themselves as important to the family by contributing, and it also *makes* them important to the family by freeing the parents for other things. It's not so much that we need to make our children "earn their keep," but we need to treat them like the productive, useful members of society that they are. Thought provoking! I was chatting with a lady in passing the other day and when she found out I was a stay-at-home mother she replied, "That is so nice to hear. Most mothers can't afford to stay at home these days." I just let it go as I am sure she meant well but I thought to myself, a lot more people could afford to stay at home if they wanted to because "afford" is a relative term and dependent upon where your priorities lie! We decided early that we wanted to have one parent at home with the children. It has meant, however, that we live far away from both sets of grandparents in order to pursue business opportunities that allow us to live on one income; that we do not own a home; and most pressingly, that we have very little free time and very little support. For anyone who is not ready to sacrifice -- which is most people, if they are not relying on God's help -- raising children is a tall order. Finances are just one small part of it. Thanks Warren. I like how you summed up the problem. Very true, Andrea – it is so easy to blur the lines of needs and wants. I love your husband’s response about beans and rice! Sarah, I appreciate your point about treating children like productive members of society. I’d be interested to hear more about what that can look like. Thanks Jenn. I wish we could do a better job as a society of showing young families that more often than not, one parent really can stay at home. Thanks for sharing, Elizabeth. May God honor your sacrifice!